The Galaxy S10 is to get a different design compared to the company’s flagship from the last two years. This will probably be the case and this may be confirmed by the beta of the Samsung Experience 10.0, i.e. software that will soon be available in beta . There, in the dark mode options, interesting graphics were found. You can see her in the picture below. Yes, in the graphic below you probably see the design of the Samsung Galaxy S10. You can see a screen that has a very narrow frame at the top. Koreans will finally use a panel that will cover almost the entire front of the housing. This has already suggested earlier leaks, and now we get proof of it from the producer himself. Samsung Galaxy S10 is created under the code name Beyond. A lot of information about the plans of the Korean giant has recently been provided by Bloomberg’s report . There were confirmed earlier rumors about three versions of the phone. In addition, such prototypes are tested, which are deprived of the headphone connector. We also know that the company wants to abandon the iris scanner . Samsung has already practically finalized work on hardware Galaxy S10. Telephones for hardware at this stage should be ready. Recently we have mentioned to you that Koreans will integrate a special coprocessorunder the casing . He will be responsible for tasks based on artificial intelligence and machine learning. 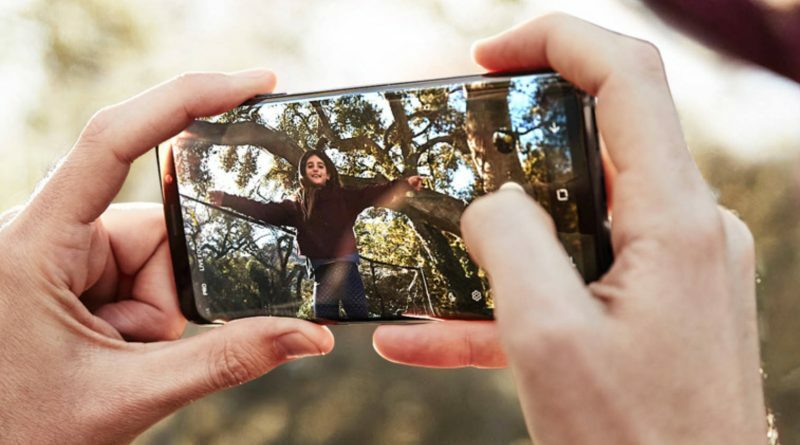 We expect the premieres of new smartphones during MWC 2019 in Barcelona, ​​at the end of February.